While it may seem strange to some people, I have a habit of listening to certain music at particular times of the year. One example of this odd behavior is my September listening. September is a month in which I break out music by the late Keith Green. 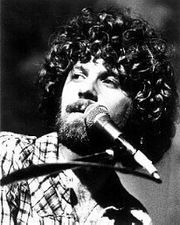 To enhance my music experience this year I added No Compromise: The Life Story of Keith Green to my reading list. Most books expand my knowledge, but biographies expand my vision. No Compromise did not disappoint in this regard. Younger Christians (and older Christians who did not grow up in the church) may not be familiar with the work of Keith Green. I find this unfortunate because Keith Green was so much more than a musician; he was more akin to a prophet. I do not throw that label around lightly. Keith Green did more than sing. His greatness as an artist lay in his message. He called out a generation of Christians who were living mediocre, trivial, and often sinful lives. He called them to forsake compromise and commit their true devotion to Christ. Three things stand out to me in Keith’s life. First, Keith held nothing back from following Christ. He had an intense personality that saw things as only black and white. If his music is a guide to his thinking, we see a man who was willing to forsake everything for Jesus. No Compromise is the perfect title for the book because that is how Keith sang, wrote, preached, and lived his short life. His lyrics moved audiences to a deep, personal revival. Second, Keith lived a life of humility. God provided him a platform to speak to His people and gave him a strong message. Yet, when mature Christian leaders corrected him on his approach, he accepted the guidance as from the Lord. Keith showed a deep understanding of our human tendencies toward pride. No Compromise gives several examples of Keith accepting correction from mature leaders especially regarding how he spoke of sin and compromise to his audience. Third, Keith had a passion for evangelism. He was as comfortable sharing Christ with hitchhikers as he was in front of an audience of a thousand. He not only spoke about evangelism but he lived it. I have never heard any Christian music exclaim the need for personal evangelism like Keith Green’s music. For instance, “Asleep in the Light” moves my heart more than the most persuasive sermons on evangelism. The story of Faust best captures a certain aspect of American life related to Americans’ worship of achievement. If you are not familiar with Faust, there have been numerous retellings, all featuring a protagonist who makes a deal with a devil for power or knowledge in exchange for his soul. Each version of the story ends differently; in some, Faust loses his soul while in others, he receives redemption. Alex Rodriguez could be termed our most recent Faust. A-Rod, as he is affectionately known, was once the most sought after baseball player in America. The New York Yankees agreed to pay him $275 million for ten years with the expectation that he would break the all-time home run record. I don’t know the whole A-Rod story. Perhaps in a year we will see a book that gives us a clearer picture of what made A-Rod choose to get entangled in performance enhancing drugs. What is clear is that A-Rod made a decision to cheat. He had a good life playing the game that he loved as a boy. He made more money than most would see in a lifetime. He spent time with attractive and famous women. Did he really need more? Was the pressure so great to break the home run record that he felt he needed to cheat to achieve that? I have no desire to throw stones at A-Rod. I have no desire to defend him either. What I find interesting is that A-Rod is not the only one who figuratively sold his soul. Many people do the same each day, only for much less. Every time we make small compromises on things of moral importance, we give a little bit of our soul. 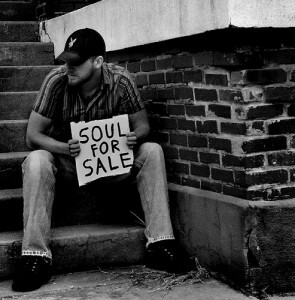 Every time we choose the temporal over the spiritual, we are giving away a little bit of our soul. Every time we choose our career over our family, we give away a little bit of our soul. With each compromise we make regarding the important things of life, we give away a little bit more of our soul. We risk looking back over our lives and finding out that we sold our souls cheaply over the course of our lives. At least A-Rod got $275 million for his soul. Was it really worth it? It is easy to look at the world and despise its condition. We are living in a time rife with sin, when the last thing on many peoples’ minds is seeking God. We are on the brink of war with Syria, which could send much of the Middle East into unthinkable turmoil. Yet we have much for which we, as Christians, can be thankful every single day. Through the indwelling presence of the Holy Spirit, we are afforded a more intimate relationship with Christ than the disciples could have ever enjoyed, even though they sat right next to Jesus (John 16:7). We are living in a time when the things for which the Old Testament prophets tirelessly sought God (salvation and grace) have finally been revealed (1 Peter 1:10,11). Angels would long to look upon the truths we get to enjoy every day (1 Peter 1:12). Let’s be thankful for everything that has been brought to our attention! Despite the condition of the world around us, we are living in a time when the Word and Will of God is more available to us than ever before. Pruning is an important Biblical principal. It can also be a painful one. John constructs a beautiful metaphor here. Jesus is the vine, and we are the branches. We need Him to survive; if we find ourselves disconnected from Him, we will wither and die. But that’s just the beginning. As a branch, we have two possible outcomes: we either bear fruit or we don’t. 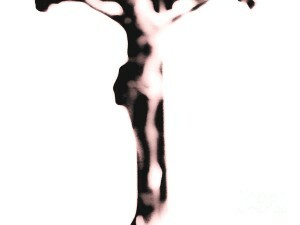 If we don’t bear fruit, God will cut us off; but even if we do bear fruit, we still get cut – just in a different way! In the best possible scenario, we still have to be ready for pruning. Google defines ‘to prune’ as, “to trim (reduce the extent of something) by cutting away dead or overgrown branches or stems (removing superfluous or unwanted parts), especially to increase fruitfulness and growth.” We all have things, people, and activities in our lives that are dead, overgrown or unwanted; we’re just not good at recognizing what these things are – and that is where the vinedresser comes in. 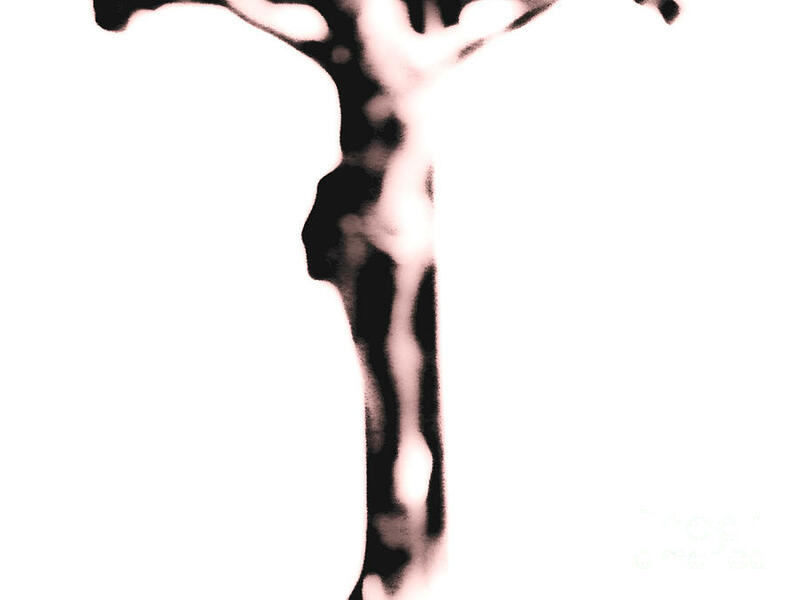 God is the vinedresser; not us. 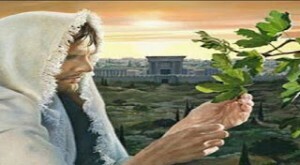 He does the pruning; we don’t. What branch gets to decide if it’s too long, or if it bears good fruit? That is a right and responsibility reserved for the vinedresser. God sees things in our lives that no longer belong there, and He cuts them off – for our own good. He prunes our lives so that we will be more fruitful in the end. Before I became a full-time Pastor, I worked in finance. After a few years of working at a bank, I laid out a plan for a gradual transition into full-time ministry over a 3 to 5 year time frame. God had other plans. One morning, with no warning whatsoever, I found myself in the HR office of the bank where I worked. I was being let go; not for any performance reason, but because my ‘position was being eliminated.’ I was being pruned. My career was overgrown, taking up too much of my time, and interfering with the plans God had for me. So he cut it out of my life. We’re not always ready for pruning, and it never feels good; but God knows the plans He has for us. His understanding is unsearchable; ours is limited. God began to provide for my wife and I financially from the moment I stepped out of that HR office. He launched me almost immediately into full-time ministry. I soon found myself in Jonah’s shoes, vomited out of the belly of a fish called unemployment and back on dry land, with a chance to fulfill my destiny instead of running from it. He pruned me so that, in the long run, I would be more fruitful. I thank God for that pruning every day.